Harry and Robin have lost the most important thing in their lives, their son Dillon. When their apartment was destroyed in Tangier, during an earthquake, their three year old son was never found. Guilt eats up Harry on a daily basis and their marriage is teetering on the edge of survival. Now back in Dublin, trying to move on, things seem to be settling and the grief seems less intense, after five years. That is, until Harry spots a young boy on the streets of Dublin and is convinced it is his son. Here begins an obsession which eats into Harry and even seeps into the core of his marriage. Can he tell Robin what he saw, or should he try to find the boy alone? Will his bouts of alcoholism and depression be reason for her not to believe him? The chapters of the book are divided into Harry and Robin's stories. The tale drifts between Tangier and Dublin very smoothly and you can almost smell the streets of Morocco and sense the tension in Dublin. This is a hard book to place within a specific genre. Part thriller, part literature, but certainly with high class writing. 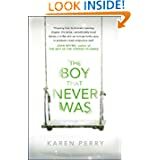 Karen Perry is actually a pen name for two authors; Paul Perry and Karen Gillece. 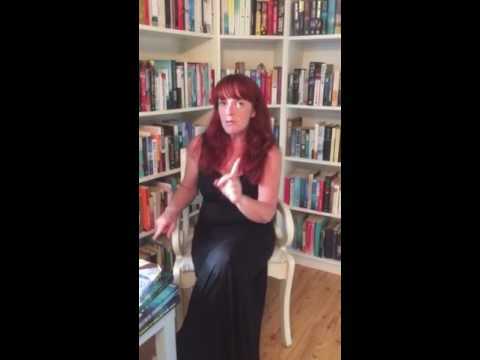 Both highly acclaimed authors in their own right, this combination is very successful and amazingly seamless. I'm not sure how combined writing works. Do they take turns? Does one person write one characters part and the other person write the other character? There is no way I would have known this was a joint venture as the work is clever, writing superb and the story is unique. A few twists along the way stop this from becoming too focused on a the grief of parents who have lost a child, and gives the novel a new angle. I look forward to reading some more of this author partnership again, and congratulate Paul and Karen on a wonderful piece of contemporary literature. The Boy That Never Was is published on Amazon on 27th March and in all good bookshops on 7th April.